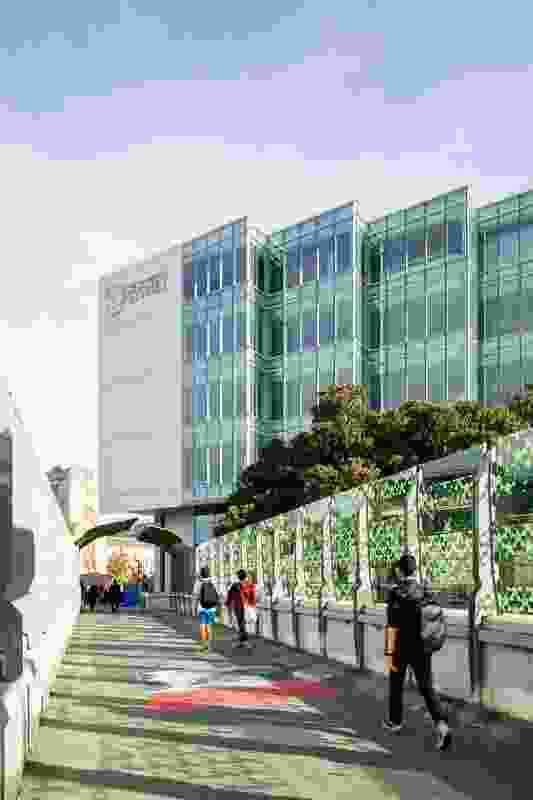 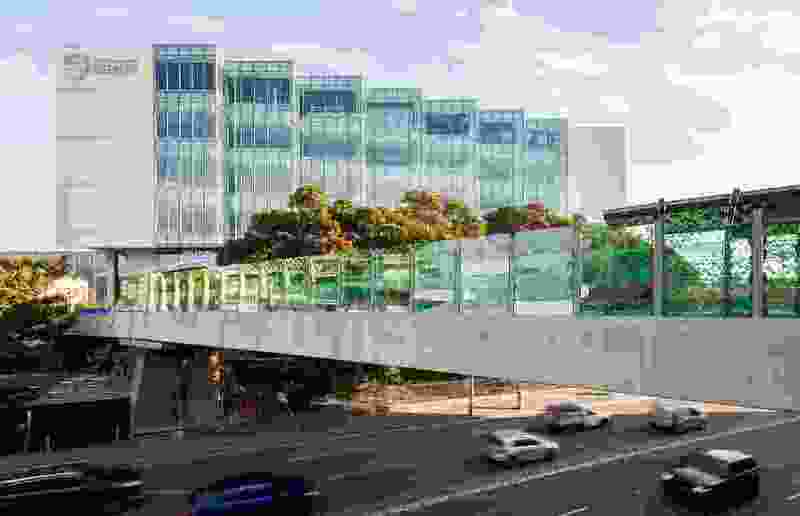 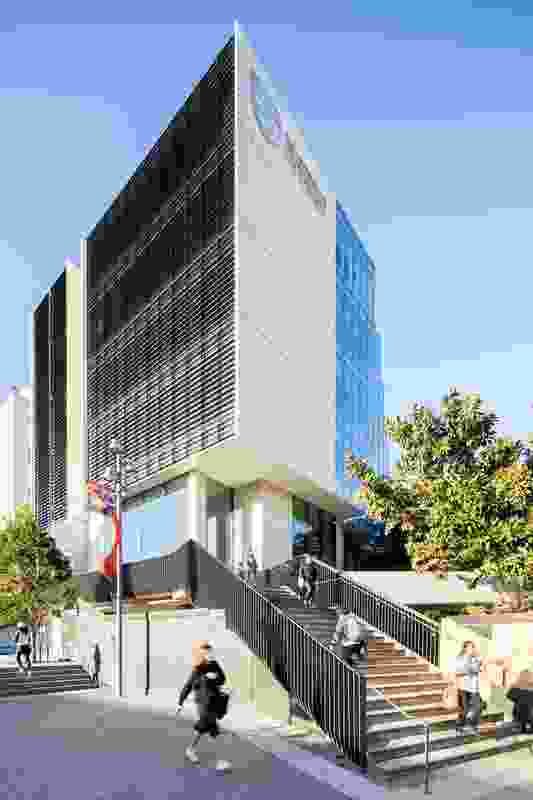 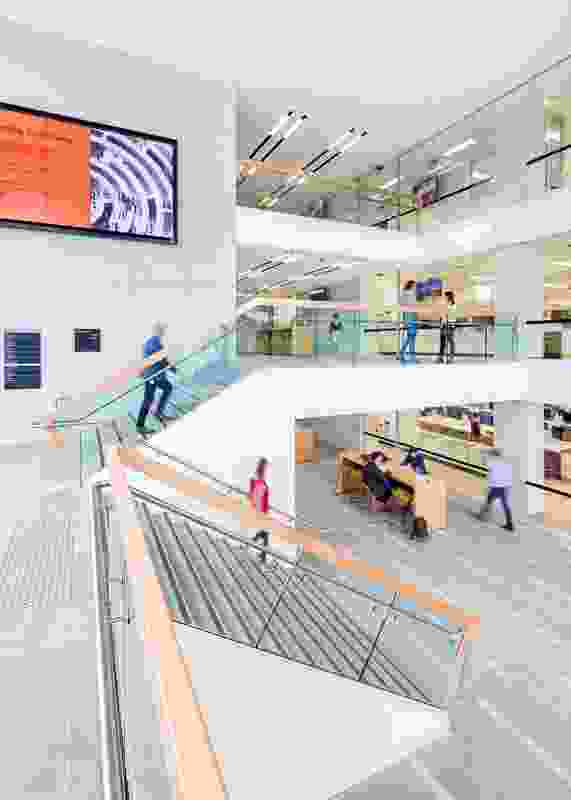 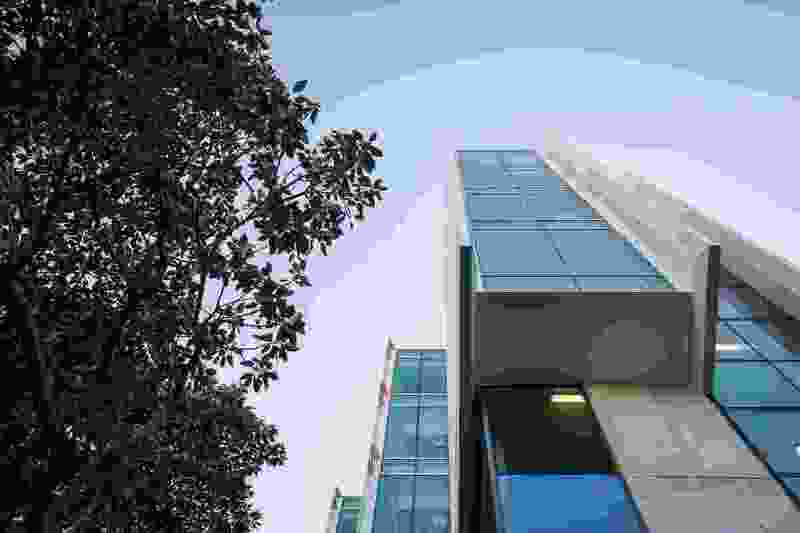 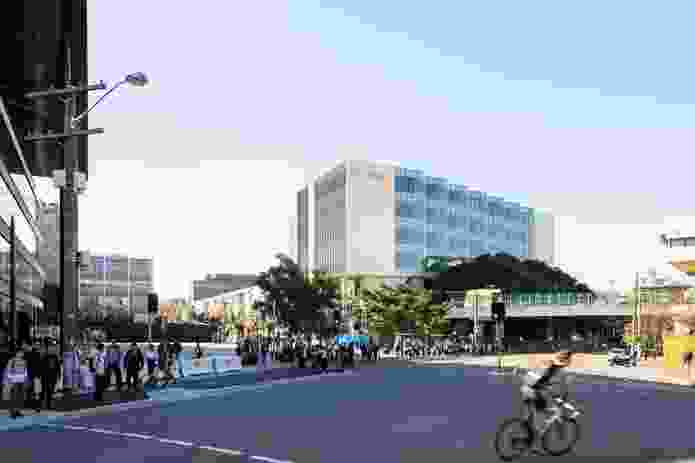 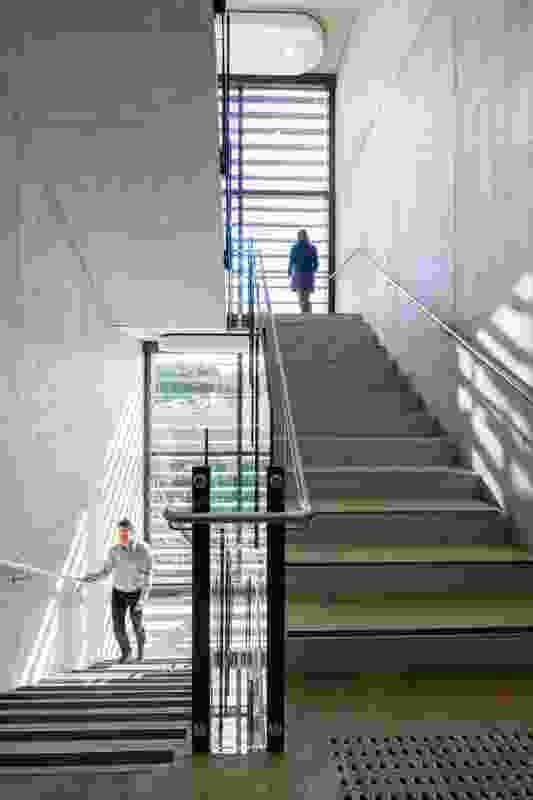 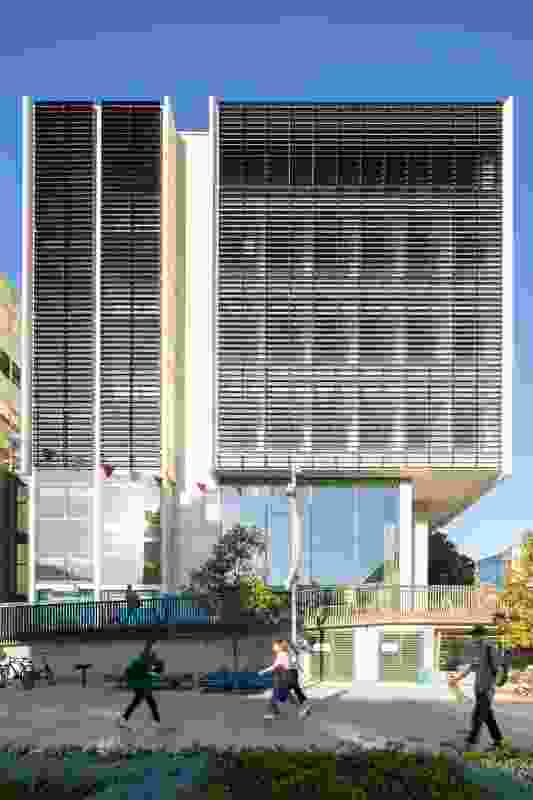 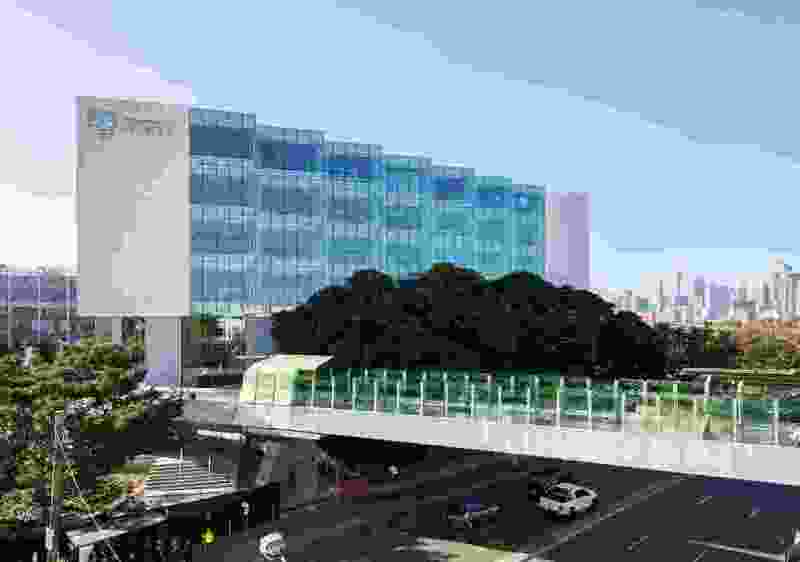 A new, eight-storey environmental science teaching and research building, designed by HDR, has opened at the University of Sydney. 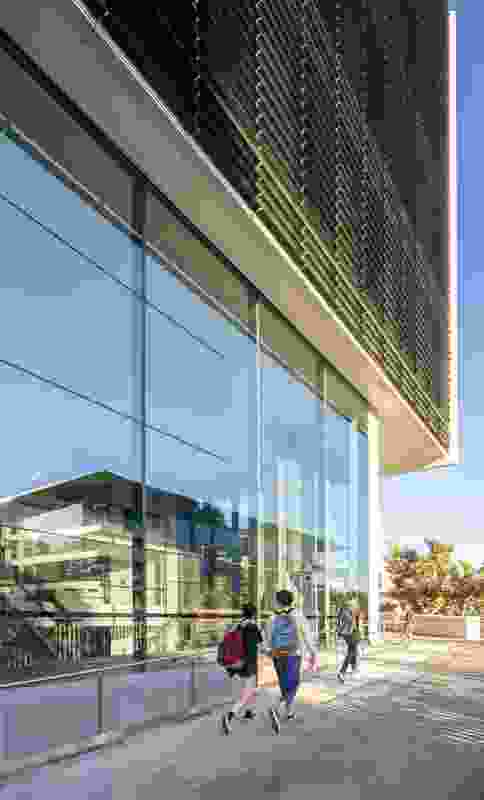 The design of the Life, Earth and Environmental Sciences Building (LEES1) was unveiled in June 2016, along with the design for an administration building by Grimshaw. The two buildings flank City Road and form a “gateway” for the campus. 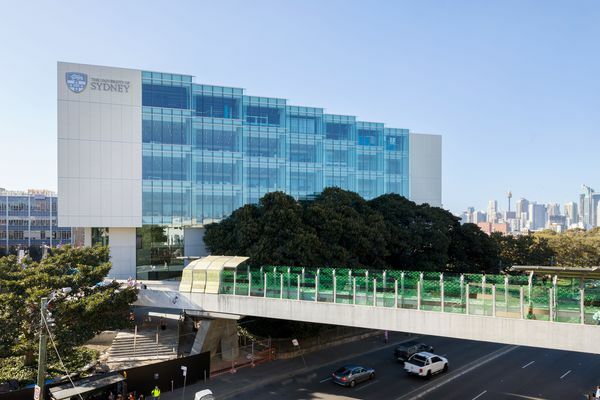 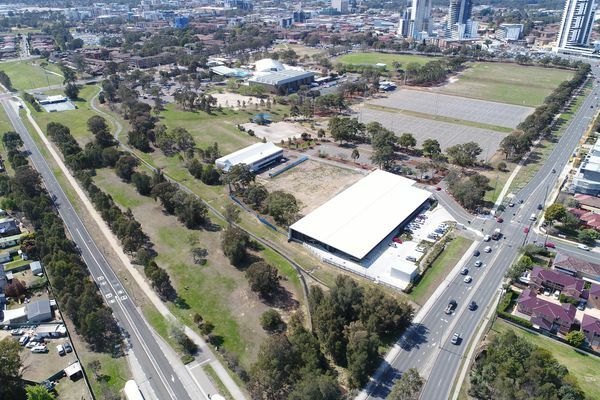 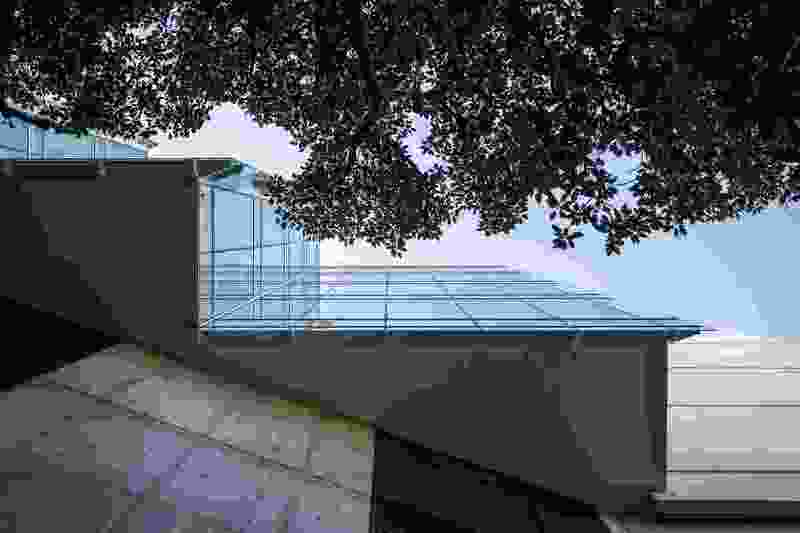 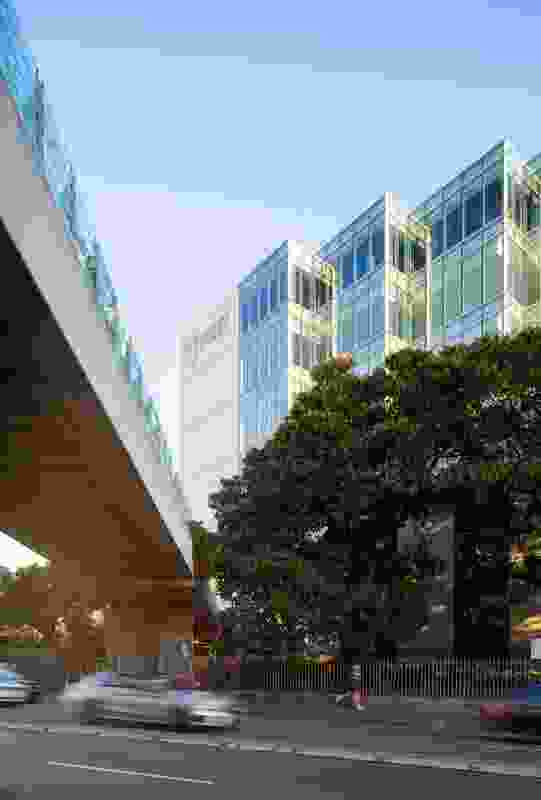 HDR aimed to “put science on display” with its design, which locates teaching labs on the building’s lower levels in line with the canopy of a number of heritage fig trees, while research labs are on the higher levels, floating above the canopy line. 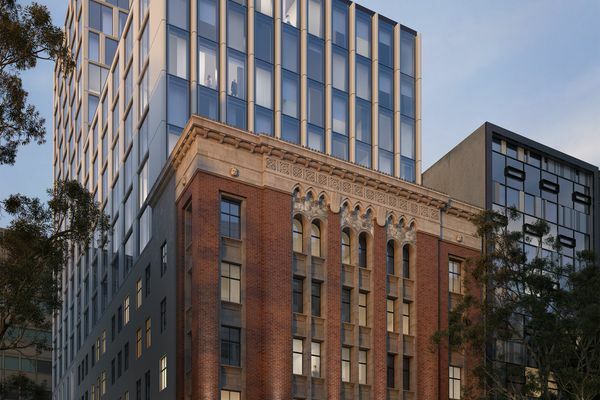 The building has a stepped facade in response to the irregular, wedge-shaped site, and is constructed mostly off-form concrete, glass and cream tile. 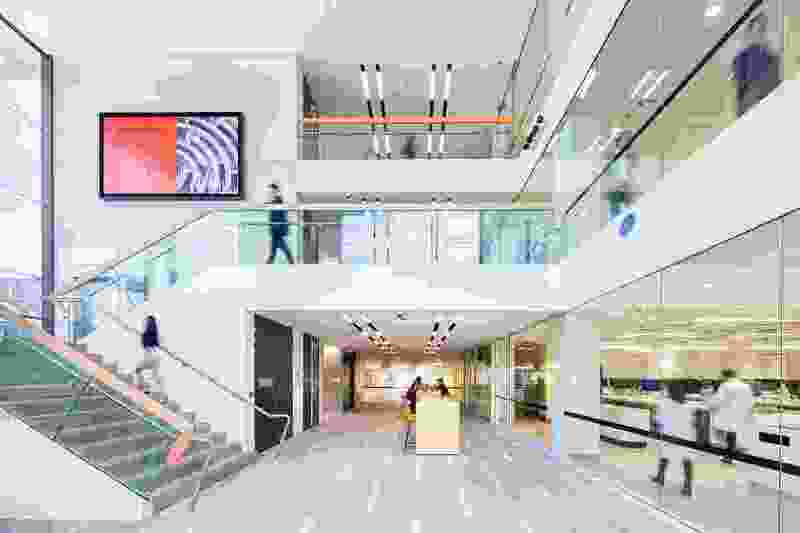 In a design statement, the architects said the building “transforms a complex site into a visually interesting and beautifully functional building that has an aspirational quality both internally and externally. 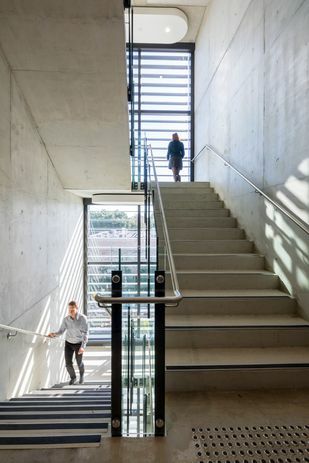 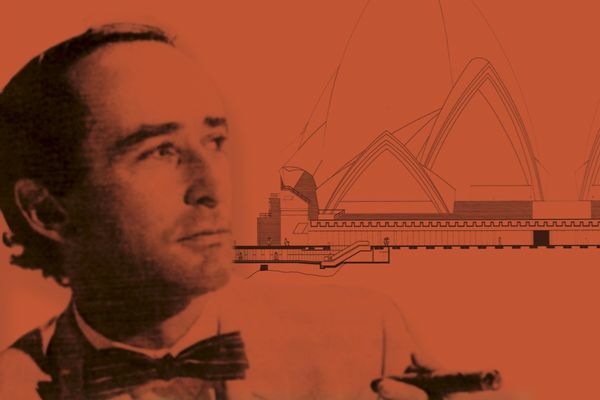 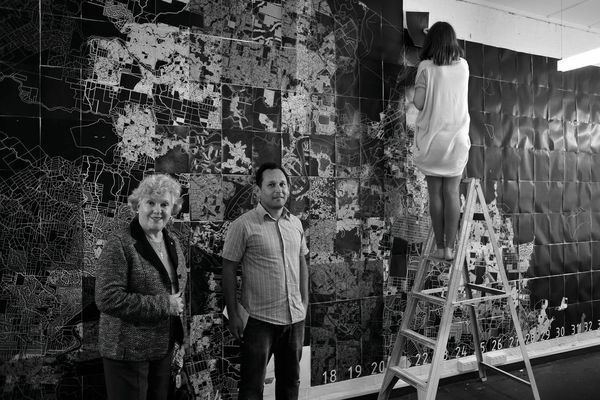 “The simple palette speaks to the enduring timelessness and permanence of the University and establishes a similarity to the surrounding buildings forming the edges of Eastern Avenue.